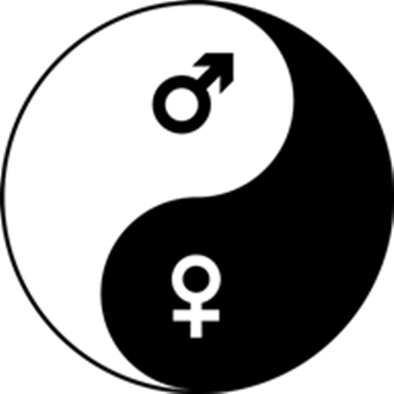 The ubiquitous yin-yang symbol holds its roots in Taoism/Daoism, a Chinese religion and philosophy. 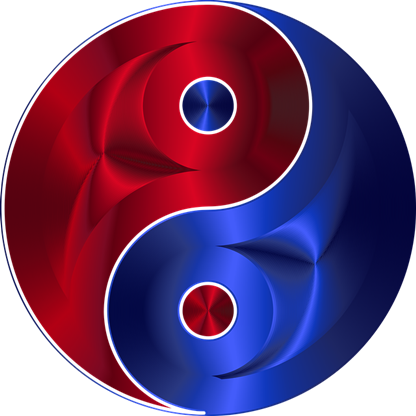 The yin, the dark swirl, is associated with shadows, femininity, and the trough of a wave; the yang, the light swirl, represents brightness, passion and growth. 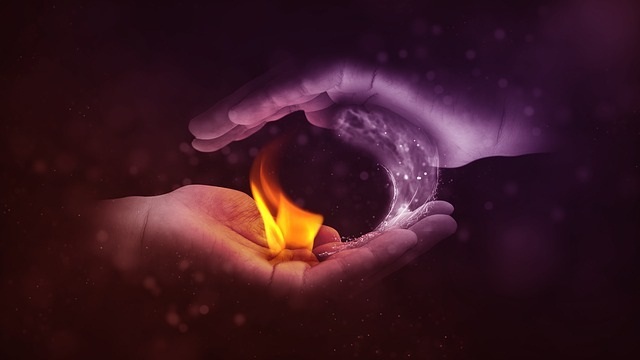 John Bellaimey explains why we all contain the spirit of yin and of yang - and how we can achieve a balance of both in our lives. Ying-Yang indicates the dual nature of reality. All creation must have a beginning and an end, rise and fall, birth and rebirth and movement and stop. Much like a light and sound waves can not exist without ups and downs. They all imply a change and a change is what causes an experience, a reality. If reality did not change at all, there would be no experience. All creations are transient, as birth implies death itself. What must have beginning, must have an end the very nature of creation. It is the self that experiences the changes, meaning the world indeed does not exist without an observer or a witness. Hence the importance of an observer in studying sub atomic particles (quantum mechanics). 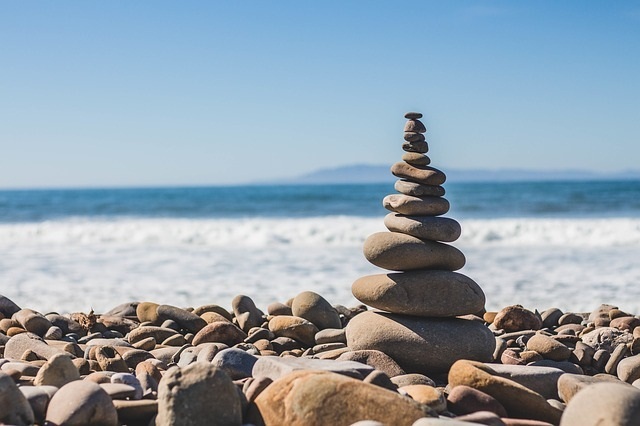 Now if we connect to Buddha's teaching and ancient philosophies like Advaita, the true self, the nature of you is not dual, it is not relative or subjective. The true self is absolute, timeless, changeless and formless. That self can not be described by words or concepts created by the mind. It is the changeless background among which changes (yin yang) are perceived. In which creation is perceived for all creation are transient and are constantly changing. The real self however never was born and never will die. It is an manifested absolute void of emptiness that is open for all. Unity occurs when 2 consciousness see themselves as one, known as love. It is to see yourself in others and in all. Greed and fear occurs when one views themselves as separate. The only right way to meditate is completely empty your mind and be the witness of all perception. Let them come and go, rise and fall, ying yang, but do not cling on to them. Our very clinging and resistance is what causes suffering. 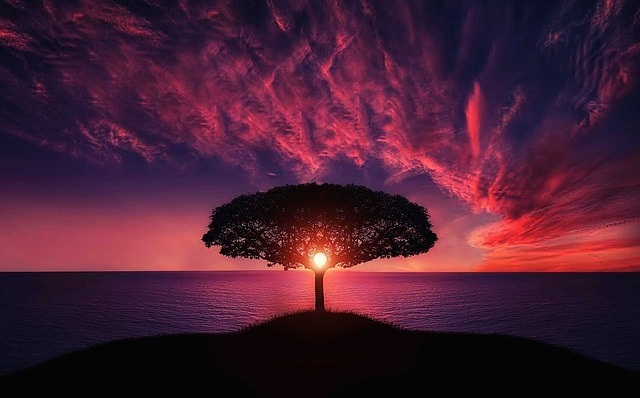 This is led by desire, so desire is indeed the root cause of not only creation but suffering. 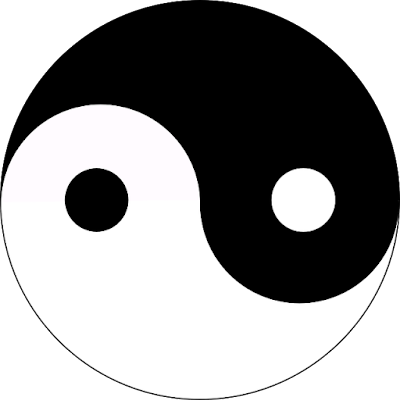 The Yin-Yang symbol, having no "officially standardized" rendition, has been the basis of much artistic variation, most of it "frivolous" (that is, "merely" artistic, with no philosophical/mystical meaning, e.g., tattoos). 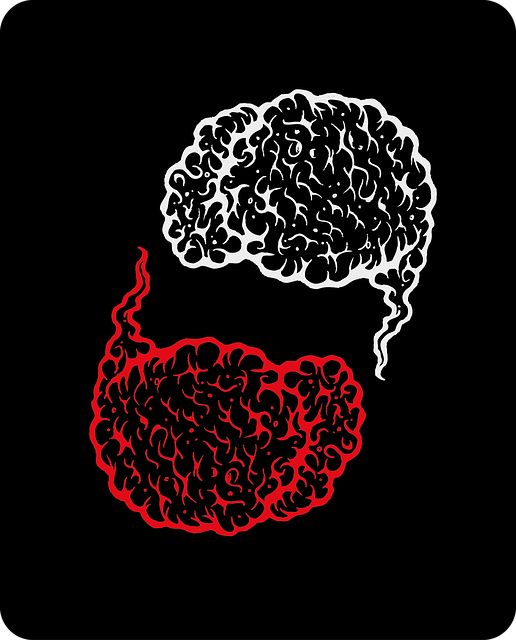 In Chinese philosophy, yin and yang (陰陽 yīnyáng, lit. "dark-bright", "negative-positive") describe how seemingly opposite or contrary forces may actually be complementary, interconnected, and interdependent in the natural world, and how they may give rise to each other as they interrelate to one another. Many tangible dualities (such as light and dark, fire and water, expanding and contracting) are thought of as physical manifestations of the duality symbolized by yin and yang. 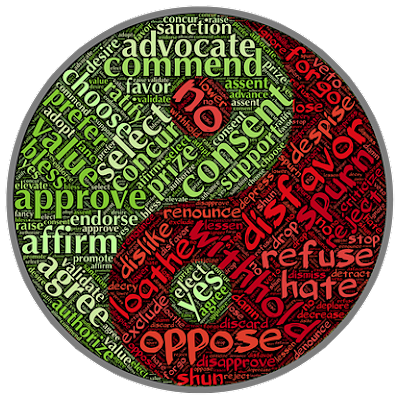 This duality lies at the origins of many branches of classical Chinese science and philosophy, as well as being a primary guideline of traditional Chinese medicine, and a central principle of different forms of Chinese martial arts and exercise, such as baguazhang, taijiquan (t'ai chi), and qigong (Chi Kung), as well as appearing in the pages of the I Ching. Needham discusses Yin and Yang together with Five Elements as part of the School of Naturalists. 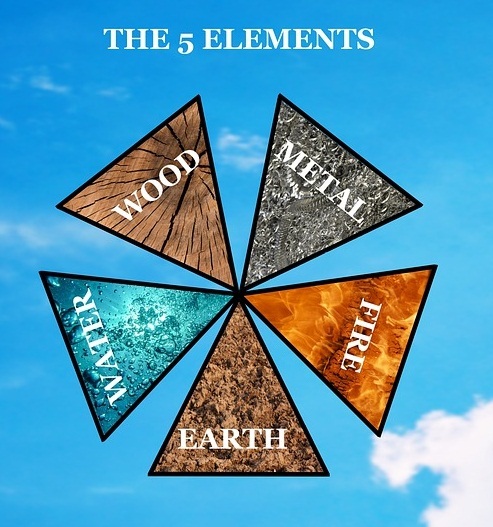 He says that it would be proper to begin with Yin and Yang before Five Elements because the former: "lay, as it were, at a deeper level in Nature, and were the most ultimate principles of which the ancient Chinese could conceive. 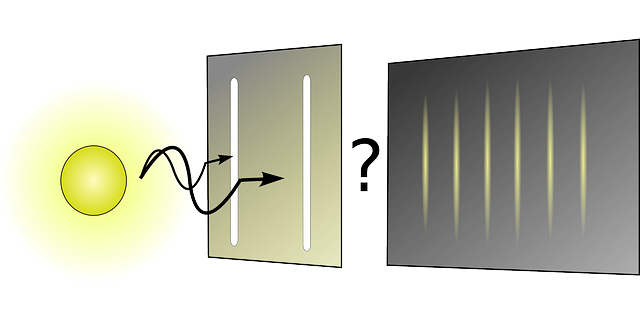 But it so happens that we know a good deal more about the historical origin of the Five-Element theory than about that of the Yin and the Yang, and it will therefore be more convenient to deal with it first. He then discusses Zou Yan (鄒衍; 305 – 240 BC) who is most associated with these theories. Although Yin and Yang are not mentioned in any of the surviving documents of Zou Yan, his school was known as the Yin Yang Jia (Yin and Yang School) Needham concludes "There can be very little doubt that the philosophical use of the terms began about the beginning of the -4th century, and that the passages in older texts which mention this use are interpolations made later than that time.